USA and Canada are each unique but so similar. When I first began putting seminars together I was shocked to discover I had seven pages of a double space listing of differences from one side of the border to the other. Canada and United States of America co-exist on each side of the world’s longest undefended border but yet we ARE two very different countries. Canadians even spell differently than Americans and sometimes we talk differently too plus Canada has much less population. However our two countries have a mega amount in common as well. 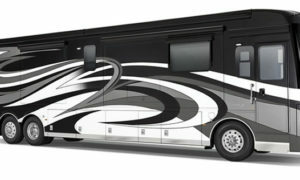 Although new Passport rules are in place as of June 09 – the good news is not much is different for RVers at the border – cross border Homeland Security has settled into a sense of new normalcy. Follow these simple suggestions and your USA-Canadian Border crossing should be uneventful. Carry a Passport rather than the new coded style card because for Emergency Air Travel, you’ll need either a Nexus Card or a Passport. Go through the car lanes, NOT the Truck lines. Take off your sunglasses so they can see your eyes. Answer ONLY the questions asked – Volunteer nothing more. Don’t be glib or smart with officials – they are only doing their job. Follow a ‘Golden Rule Respect’ with agents at the border. Don’t try to conceal things. Officials are aware of every hiding place. Searches happen only occasionally, but they can occur while entering either country. In our 24 years of fulltiming and during numerous jaunts across the border in both directions, we have only been searched once and it wasn’t extensive. On one other occasion we did encounter a most difficult agent. For the most part, all of our crossings have been hassle free. These days we seem to be asked more questions than in previous crossings. If your RV travel plans include a visit to Canada, Peggi’s eBook RV Travel to Canada is a must read. 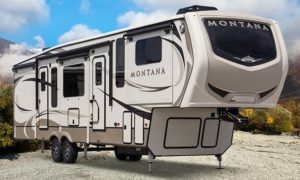 Recently updated for the 2009 summer travel season, RV Travel to Canada is filled with important MUST KNOW info that will insure you get the most from your visit while avoiding problems inherent in international travel. Peggi and Husband John are Canadian and have been full time RVing in Canada and the US for 24 years. Fran and I are happy to call them friends and are proud to recommend Peggi’s eBook Click Here for more info and to purchase! One Response to "USA-Canadian Border Crossing Tips"
Are you permitted to enter USA with frozen home grown vegetables…peas, carrots, blueberries,frozen tomatoes…we know you can’t bring potatoes, garlic, onions (unfrozen). All would be in our motorhome freezer and for personal use only. Anybody?